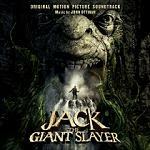 Jack the Giant Slayer combines classic fairy tales Jack and the Beanstalk and Jack the Giant Killer to deliver an action-packed fantasy adventure for modern audiences. An all-star cast is headed by Nicholas "Warm Bodies" Hoult as the eponymous farmhand, who must venture into the mystical realm of the giants to rescue a kidnapped princess. Ewan McGregor, Stanley Tucci and Ian McShane co-star with X-Men director Bryan Singer at the helm. Singer reunited with many of his regular crew-members for the film, including screenwriter Christopher McQuarrie and cinematographer Newton Thomas Siegel. It's also the latest collaboration between the director and editor/composer John Ottman, whose association stretches all the way back to Singer's first feature film Public Access. They also worked on the classic, Oscar-winning crime thriller The Usual Suspects, Stephen King adaptation Apt Pupil, historical drama Valkyrie and superhero movies X2 and Superman Returns. Of all their collaborations, The Usual Suspects is the one that has brought the two men the most acclaim. Singer's shadowy, twisty, labyrinthine thriller (again scripted by McQuarrie, who won an Oscar) benefited enormously from Ottman's silky smooth editing and darkly enticing score. As Singer has moved increasingly into the arena of big-budget fantasy, so too have Ottman's scores become more grandiose and bombastic – the score for Superman Returns for example brilliantly incorporated John Williams' classic theme. Ottman is in a privileged position compared to most film composers in that his dual capacity as editor-composer allows him greater control over how the music works in a given film. The history of film music is dotted with accounts of conflicts between editors and musicians – Terry Rawlings and Jerry Goldsmith famously disagreed during post-production on Alien. Ottman however is able to bypass any potential tension. 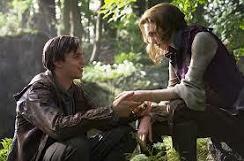 Singer has always been one to place emphasis on music in his films – and in the case of Jack the Giant Slayer, that decision yields wonderfully rousing results. Ottman's score is a full-throttle, entertaining throwback to the Golden Age classics of Korngold and Steiner, a swashbuckling epic possessed of a delightfully old-fashioned nature. Scoring movies in such a fashion has fallen out of favour in recent years. But Ottman proves that there's plenty to be said for the good old-fashioned adventure score, one that doesn't hold back when it can instead propel the action forward. The terrific main theme comes bursting out of the traps in the opening cue "Jack and Isabelle", a wonderfully brassy and energetic piece evocative of horses galloping across a fantasy landscape. In fact, the brass work carries overtones of Michael Kamen's 1991 score Robin Hood: Prince of Thieves. The second half of the track then introduces the beautiful love theme on soft harp, strings and woodwind. It's a swooningly gorgeous piece – and, like the main theme, wonderfully nostalgic. The two themes are often interwoven throughout the score to suggest the burgeoning relationship between Jack and the Princess. These two ideas form the backbone of the score. "Logo Mania" is another sweepingly dramatic, although sadly short, piece, introducing clattering percussion alongside the brass and strings. "To Cloister" passes the main theme over to the choir, something which Ottman does regularly in his scores. He often uses vocals to convey a large extent of the musical narrative, and in this context the choir carries a suitable amount of wonder. Sometimes, it even takes on a hauntingly ecclesiastical quality, like in "Story of the Giants" and "Top of the World", where it sounds like monks chanting. "The Climb", as the name might suggest, extends and reaches upwards to ever-more dramatic heights, especially when the choir takes centre-stage. Whereas the film's heroes are treated to glorious, long-lined themes, the villainous giants receive much more abrasive and challenging material. The strings shriek in the manner of Michael Giacchino's work on Lost, the brass burbles away similar to John Williams' darker scores and the percussive effects become more brutal. These characteristics become apparent for the first time in "Fee Appears" and "Why Do People Scream?". By contrast "How Do You Do" offers the perfect counterbalance – a beautiful and featherweight rendition of the love theme. "Welcome to Gantua" and "Not Wildly Keen on Heights" both play around with dramatic variations on the giants' material, while "The Power of the Crown" introduces another powerful brass/choral theme, resplendent in a sense of majesty and with clanging bells adding extra resonance. The love theme gets a sumptuous rendition in "The Legends are True/First Kiss" (where it sounds like Patrick Doyle's most romantic material) before "Roderick's Demise/The Beanstalk Falls" pulls the score back into the realm of action, with resonant gong clashes and the ever-present choir. The occasional tinkling of a harpsichord is another nice touch, lending a sense of period-specific detail. "Kitchen Nightmare" is a welcome track for the way in which it adds additional comic texture to the score, with plucked strings and tambourine creating a jaunty atmosphere. There's even a slice of sing-song dialogue from one of the giants! The dissonant "Onward and Downward" and "Wake a Sleeping Giant" then usher in what is effectively an action extravaganza carrying audiences to the end of the soundtrack. Here is where all of Ottman's musical ideas and textures come together as the humans finally do battle with their giant nemeses. The choir soars, the timpani rumbles and the orchestra resounds for all its worth and when the main themes are interwoven, it's all given a sense of dramatic focus. The insistent Goldsmithian rhythms of "Chase to Cloister", "The Battle" and "Sniffing Out Fear/All Is Lost" are hugely exciting, juxtaposed brilliantly with the love theme in "Goodbyes". The score then concludes with a powerful and rousing rendition of the coronation theme in "A New King/Stories", the perfect way to end. The florid piano passage in the middle of this track is especially wonderful. 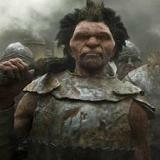 It's almost a paradox to say it but scores like Jack the Giant Slayer are, these days, a delightful surprise. For a film score to plunge straight into a rip-roaring sense of adventure without a hint of irony simply isn't the done thing nowadays, so director Singer and Ottman deserve massive praise for keeping the artform alive. As for the qualities of the score itself, it does a terrific job of sustaining Ottman's own musical voice whilst showcasing his varied musical influences, from Korngold to Goldsmith and Williams. The score is both enjoyably romantic and thrillingly adventurous; the only thing keeping it from higher praise is its somewhat overbearing nature. Pretty much every track is scored with a sense of grandiose importance which makes the listening experience less than varied. A more clearly defined theme for the giants would help too. 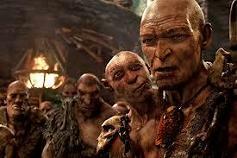 But these are minor criticisms – scores like Jack the Giant Slayer should be celebrated for the way they throw back to Golden Age masterpieces. It's heartening to note that there are composers out there who aren't afraid to flag up big emotions in their music – and it's even more heartening to note that there are some directors left who will allow them to do so. The soundtrack is available as an MP3 download from Amazon.co.uk and as an MP3 download or CD Amazon.com.